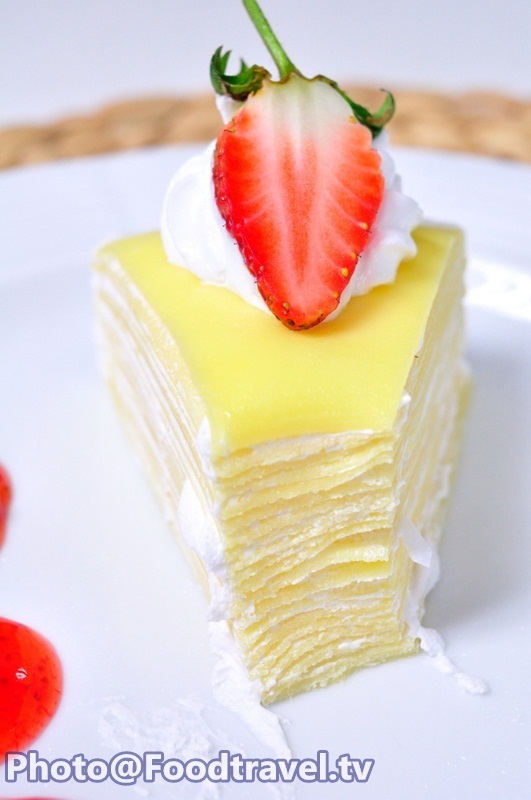 Crepe Cake - Crape Cake is made from a 20 layers 20 of crape. 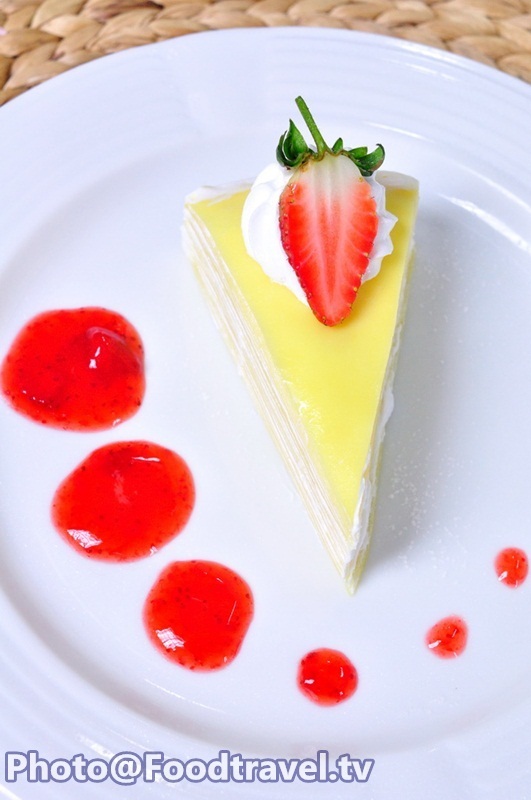 The soft and light of cream is the unique of this cake. 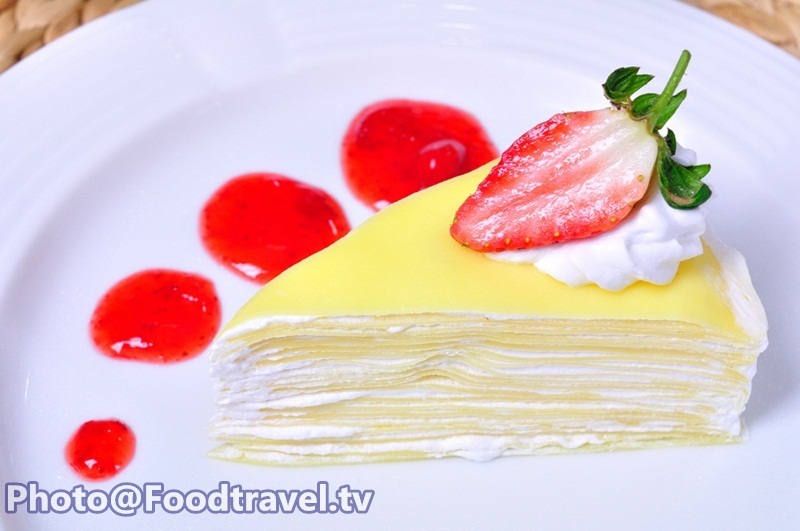 Well, if you don’t like the sweet taste, I do recommend this crepe cake for you^ ^. 2. Boiled milk until boiling and set aside until warm. 3. Beat eggs and sugar until combined well. 4. Add flour and beat well together. 5. Gradually add warm milk. 6. Gradually add the melted butter down. 7. Beat until all ingredients combined together. 8. Stay in the refrigerator for 1 hour. 9. Heat the pan and slightly apply butter on it. 10. Put crepe dough into the pan. Roll the dough all over the pan. 11. When cooked, set aside on the sieve and repeat until finished 20 layers. 13. Place first piece of crepe on the tray for decorate the cake. 14. 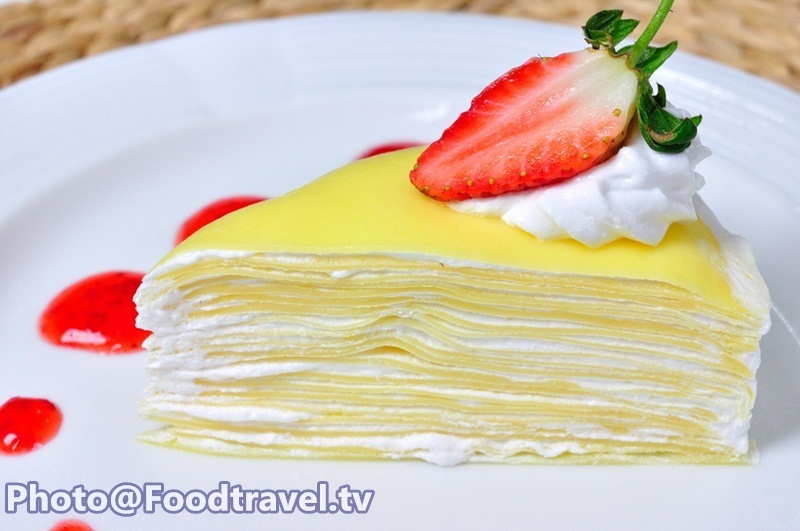 Apply whip cream all over the crepe "thinly". 15. 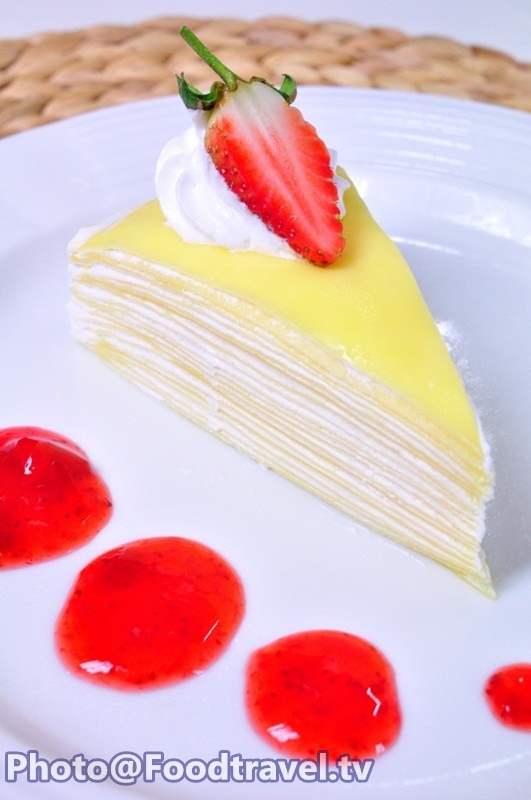 Cover with another piece of crepe. 16. Repeated until finished 20 layers. 17. Cut and served. Dressing with any sauce you like. 14. 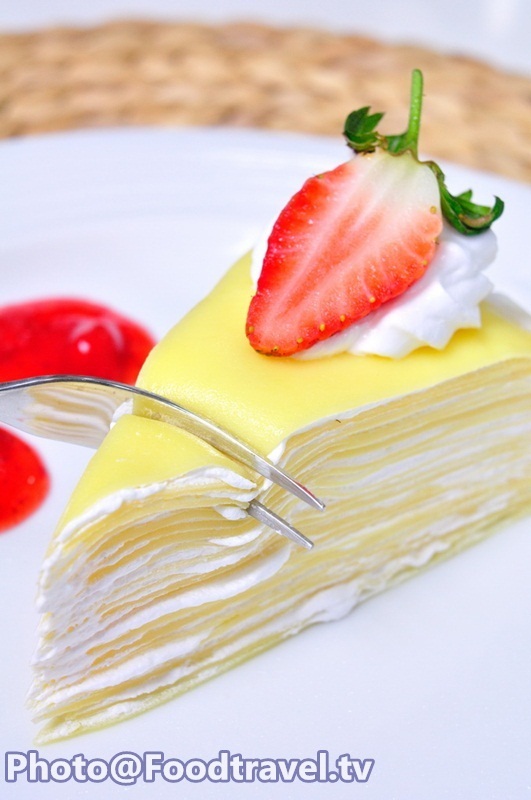 Apply whip cream all over the crepe thinly.